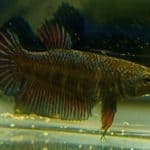 Why do betta fish not eating and what to do with it? 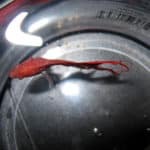 The fish has received popularity because of his luxurious appearance, interesting behaviour and the ability to live in small aquariums. And he easily bred or cross-breeds, as a result, a number of variations of colours, excellent in everything from colour and ending with the shape of the fins. The colour of a wild fish types is light olive. 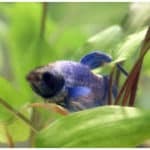 In order to please our eyes, … [Read more...] about Why do betta fish not eating and what to do with it? 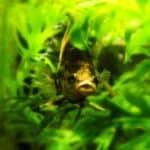 Are You Feeding Your Betta Enough? 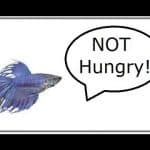 We often talk about the dangers of overfeeding your betta fish here at Nippyfish.net but today I wanted to address the common problem of underfeeding your betta. 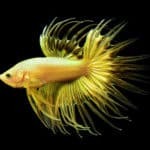 With the proliferation of betta blogs and online web forums sharing betta care information with the masses, sometimes the important messages get lost. 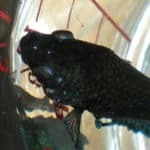 Stories of Swim Bladder Disorder and abdominal bloating are in no … [Read more...] about Are You Feeding Your Betta Enough? 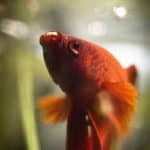 Did you know that Bettas can tell you how they feel? Well, not with words but rather through body language. 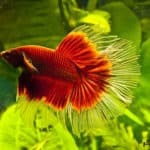 Bettas use all kinds of physical displays to send a message. 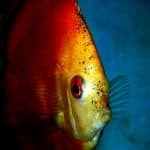 One of the most commonly observed displays is the spreading of their fins and gill covers in an impressive display that says, “BACK OFF BUDDY!” Bettas also have more subtle ways of illustrating how they … [Read more...] about Breeding or Fear Stripes?